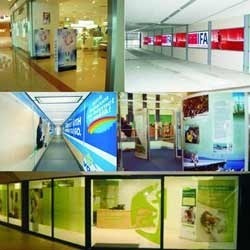 We are reckoned as one of the most prestigious supplier of Indoor Branding in the country and abroad. These micro-controller based products are widely used in the banks, Schools and restaurants etc for indoor advertising. They are versatile, cost-effective and are made to any sizes & they are also flexible & portable. The limitless size and colour options are also available. LED Slim Light Box solutions offered find application in areas like subways, airports, shopping centers and malls, railway stations as well as other similar places where these help in achieving complete end usage satisfaction. In terms of construction standards, as these light boxes are LED based, these provide vital assistance in providing optimal operational standards. Further, the LED construction also helps in saving of electricity. 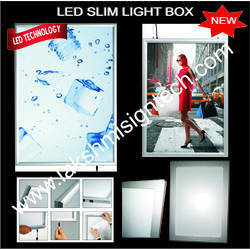 The low inner temperature of light box also enhance hen service life of LED. We manufacture technologically superior and splendidly engineered Indoor BrandingBoard and we also provide Indoor Branding. Outstanding features of our Indoor Branding are rich design for low maintenance Wide variety of models to suit all needs high durability and long life guarantee meeting all safety and quality standards. Looking for Indoor Branding ?